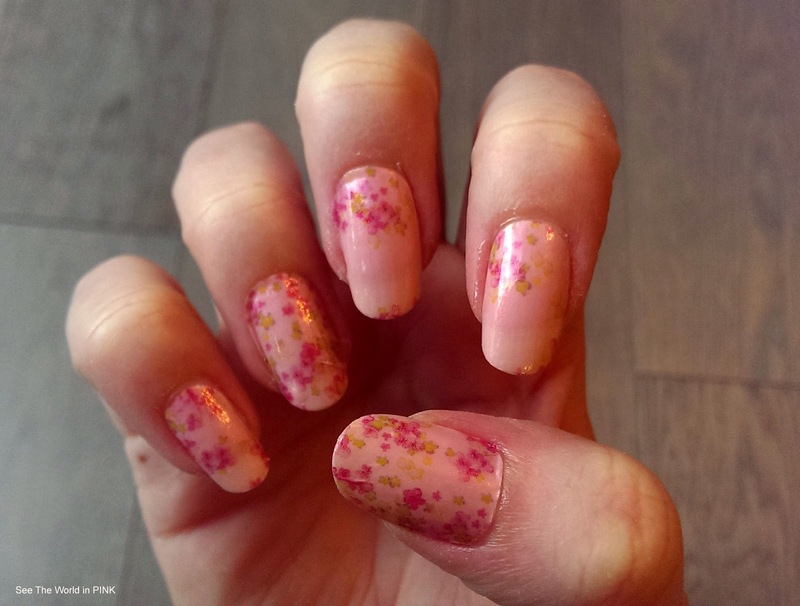 The weather has been so beautiful here lately and it has been making me want my nails nice and Spring-y too! 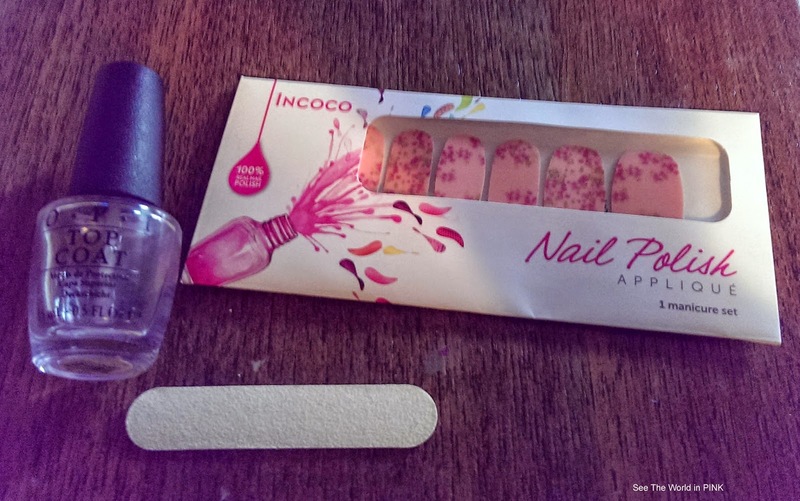 It seemed perfect when Beauty Box 5 sent me Cherry Blossom nail wraps and I had to try them out right away! Cute! They are actually a little lighter than I expected and were not as easy to apply as the Scratch wraps - but I love that these are removed like regular nail polish! And they are perfect for this time - Spring is slowly starting to peek out now!